The bus driver accused of losing control while he was on the phone, causing him to crash into a light pole that fell and killed a baby girl in New Jersey is also a full-time bus operator for the MTA in New York City, NBC 4 New York has learned. Kevin Ortiz, a spokesman for the MTA, confirmed on Friday that Idowu Daramola, 48, is a probationary bus operator who had been reporting to an NYC Transit depot on 100th Street and Lexington Avenue. All MTA bus drivers are probationary for their first year of service. Daramola had been working as an MTA bus operator since he was appointed to the position in February of this year. The MTA could not immediately say what route he was driving, or what type of bus. When a bus struck a baby girl in West New York Tuesday, bystanders called 911, panicked over a perceived delay in ambulance response. Brian Thompson investigates. Daramola was driving a jitney bus in West New York on Tuesday when, according to the Hudson County Sheriff’s Office, he was using his phone behind the wheel and hit a light pole. The pole crashed down on top of a baby stroller, killing 8-month-old Angelie Paredes. Daramola, of Queens, was arraigned Thursday on charges of reckless driving, using a cell phone while operating a vehicle and death by auto. He did not enter a plea at his arraignment. He was jailed on $250,000 bail. Hudson County sheriff's deputies stepped up enforcement efforts against jitney buses Thursday, as the driver involved in a fatal bus accident in West New York was arraigned. Brian Thompson has more. Daramola had open warrants for traffic charges for which he failed to appear in court, according to authorities. 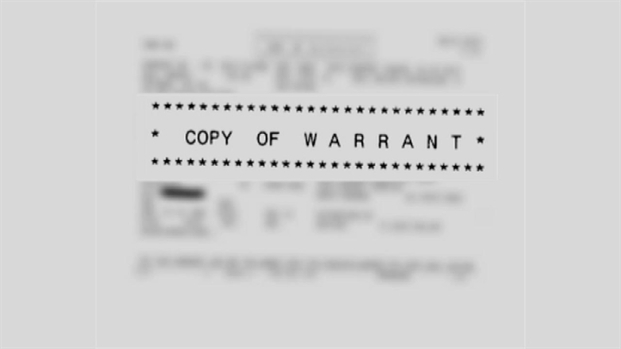 The outstanding warrants were for speeding, improperly letting off passengers and failing to stop at a stop sign in 2011, and a red-light camera violation last year. His commercial driver license was issued by New York. Deisy Bello, the court administrator for West New York, said New Jersey's Motor Vehicle Commission should have automatically suspended Daramola's driving privileges when he failed to appear in court on one of his violations and that New York's Department of Motor Vehicles should have received notice. The question many asked in the wake of the fatal jitney accident in West New York is, "Why was the driver on the road?" The I-Team's Chris Glorioso found out what kept that man behind the wheel. "After 9/11, there was an interstate compact that says the DMV in New Jersey is supposed to contact other states and other states are supposed to contact us," said Bello. Despite the reciprocal agreement, Peter Bucci, a spokesman for New York’s DMV, said his agency did not get notice that Daramola had violations in New Jersey. "Mr. Daramola has a full and valid NYS commercial driver license,” Bucci said. "There are no accidents or violations on his public driving record." A close friend of the New Jersey family that lost their infant daughter after a bus crash spoke about their horrific loss. Marc Santia reports. Ortiz, at the MTA, said a background check and motor vehicle record search "turned up no problems." Daramola would not have been hired if the agency had learned of the violations, Ortiz said. "He slipped through the system," said Hudson County Sheriff Frank Schillari. Elyse Coffey, a spokeswoman from The New Jersey Motor Vehicle Commission, disputed the claim that her agency failed to send notice of at least one of Daramola’s open warrants. An 8-month-old baby girl in a stroller was killed Tuesday when an out-of-control bus driver who police said was on the phone slammed into several cars and two light poles, causing one to fall onto the child. Gus Rosendale reports. “We have proof that it is in [New Jersey’s] Automated Traffic System, and there is no reason we have to believe it was not sent to New York as part of the [interstate] compact,” said Coffey. Coffey said the warrant information was transmitted in both paper and digital form sometime in the two weeks following Jan. 21, 2012. She could not provide documentation of the paper and digital communication. Casey Raskob, a New York-based lawyer who represents people accused of motor vehicle infractions, says communication errors between states often occur because of typos or data input errors on out-of-state warrants and other law enforcement documents. On the arrest warrant for Daramola issued in West New York – the one Bello said resulted in a suspension of his New Jersey driving privileges – Daramola’s first name is spelled incorrectly. "I notice his name is spelled beginning with a ‘J’ on this one, and on the other his name begins with an ‘I.' If you’re dealing with somebody across state lines frequently a small error in the spelling of one’s name can cause things to get lost," Raskob said.